Launching our NEW in house restaurant on Valentines weekend – 15th and 16th February! New menu, awesome food, lots of fun for the kids, great family vibe and quiet venue for those business meetings! BOOK NOW! 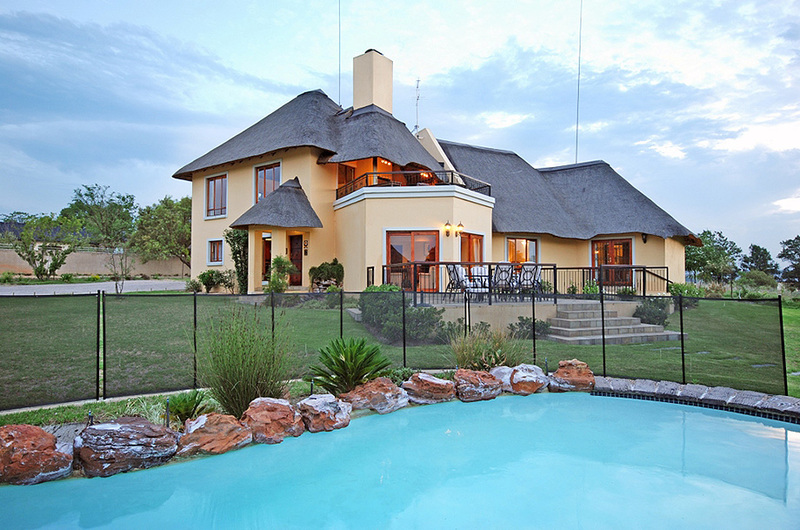 Bed and Breakfast & self catering accommodation in Fourways, Johannesburg. 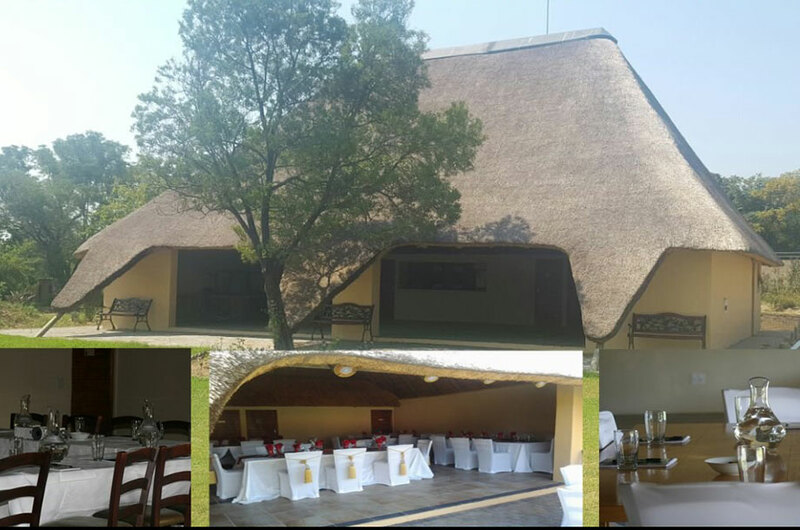 Our Karee Tree Conference Centre and Function Venue can provide world class conference or meeting facilities and small intimate functions from baby showers, to dinners or quiet parties or small weddings of up to 50 people. Hoopoe Haven Guest Lodge is a small and peaceful country guest house, situated in beautiful Chartwell, just behind Broadacres shopping centre, Fourways. 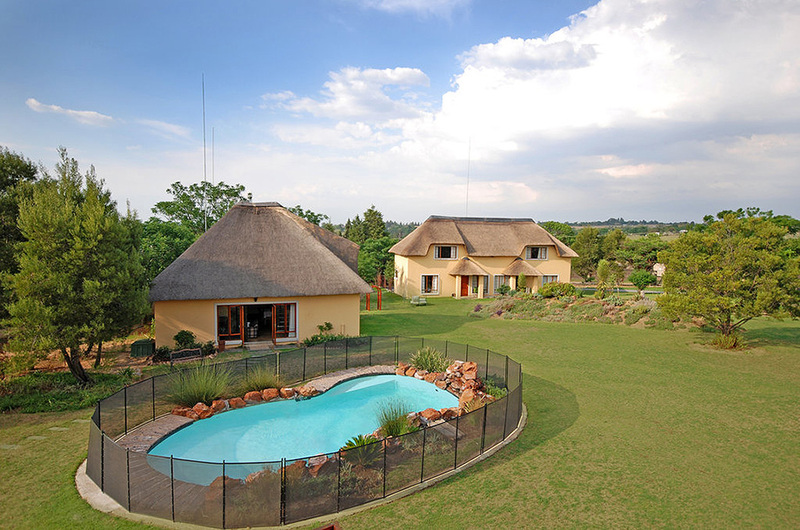 It is positioned on 2 acres of landscaped gardens with nearby Horse trails and a beautiful view of the Magaliesburg Mountains. It is a place to relax and unwind in the peace and quiet of the countryside. One can watch the magnificent birdlife, (over 50 different species have been spotted here), while you have sundowners on the patio or a braai on the upstairs balcony or state-of-art Braai area or a cooling swim in our crystal clear pool, with a beautiful sunset in the background. We also endeavour to be as green as can be! :) We currently reuse our grey water to water our gardens; we recycle our rubbish, use energy saving light bulbs and eco-friendly chemicals. In our cottages we have gas hobs and gas geysers and most of the other units including our lodge have gas hobs. As we grow we will continue to seek new and improved ways to get even greener! We want you to view this guest house as your home away from home. There are no restrictions at the guest lodge and you have your own access keys so you can come and go whenever you please. With all these luxuries one would expect to pay the earth, but the accommodation rates at Hoopoe Haven Guest house are extremely affordable. Please take the time to read the reviews that our guests have left us by clicking here. 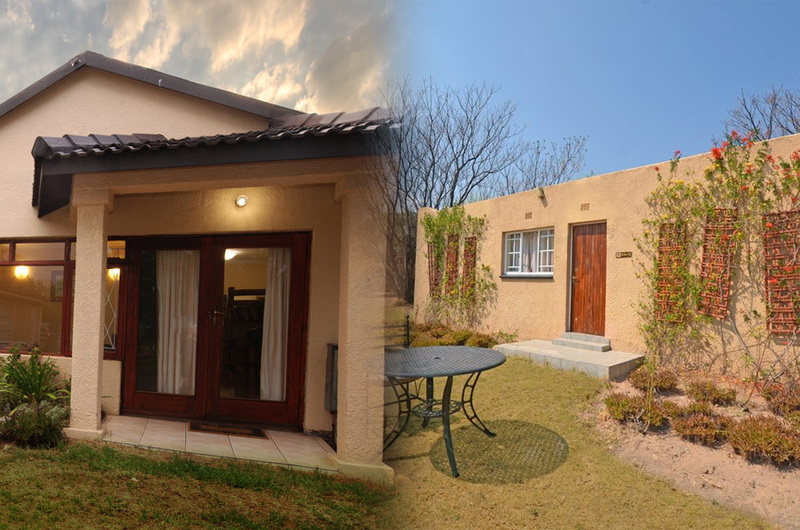 Our Bed and Breakfast (B&B) and self-catering accommodation rates are available here. We have spared no expense to make sure luxury en-suite rooms leaving you feel relaxed and comfortable. Perfect for the couple wanting quality time or the businessman needing a home away from home. Click on our lodge door and begin to relax and wind down! 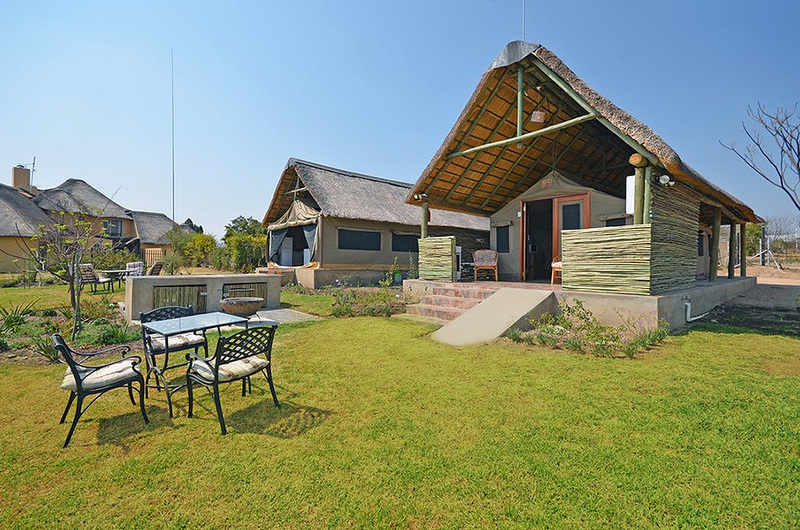 Fully equipped 6 sleeper cottages for perfect family gateway with spectacular braai area, sparkling pool and kids play area. Click on the cottage door to start planning your next family holiday! If affordability is what you need then this is the option for you. We have a small 2 sleeper cottage and a 4 sleeper family cottage on the properties right next door to the lodge that combine affordability with style. Click on budget door to view affordability with style! Looking for a holiday with a diffrence? Bored of the same old holiday? Would you like to combine adventure and luxury for a gateway literally minutes out of the hustle bustle of the big city. Click on the luxury tent door and start dreaming of the next family holiday! Want to take your pets away with you? Relocating with your pets? This is the perfect pets paradise! We have a self catering family cottage with huge garden for the bigger dogs and a luxury en-suite room with a court yard to pamper the little pets. Click on our pet friendly door to have a taste of our pets paradise! Click on our large group door and choose the option best suited for your group! Hoopoe Haven Guest House is an Afristay Valued Member. Please take the time to tells us what you thought of your stay at Hoopoe Haven Guest Lodge. The airport offers the full range of services offered at OR Tambo International: a 24-hour immigration and customs service, foreign exchange, car hire, parking, a duty-free shop and a domestic business lounge. It services all major towns in south Africa and neighbouring countries so you can use this as a base to tour around. Hoopoe haven is probably the closest guest house to lanseria heading towards Johannesburg and is only about 15 km away.